In a bid to support local fashion designers, Chimamanda Ngozi Adichie, an Award-winning author, recently launched a “Wear Nigerian Campaign,” where she has decided to dress in Nigerian brands in all her public appearances. The motive of her campaign is to sensitize and encourage people to buy from both upcoming, as well as established designers, in order to boost local trade and manufacturing. Adichie announced her new venture via her Facebook page where she wrote…“In the past few weeks, I’ve bought more Nigerian brands than I ever have in the past. I’ve discovered new names. I’ve been filled with admiration for the women and men running their businesses despite the many challenges they face. I’m particularly interested in ‘inward-looking’ brands, those for whom dressing Nigerian women is as important as other goals.” She is showcasing her proudly-made Nigerian outfits on her Instagram page managed by her nieces, Chisom and Amaka. 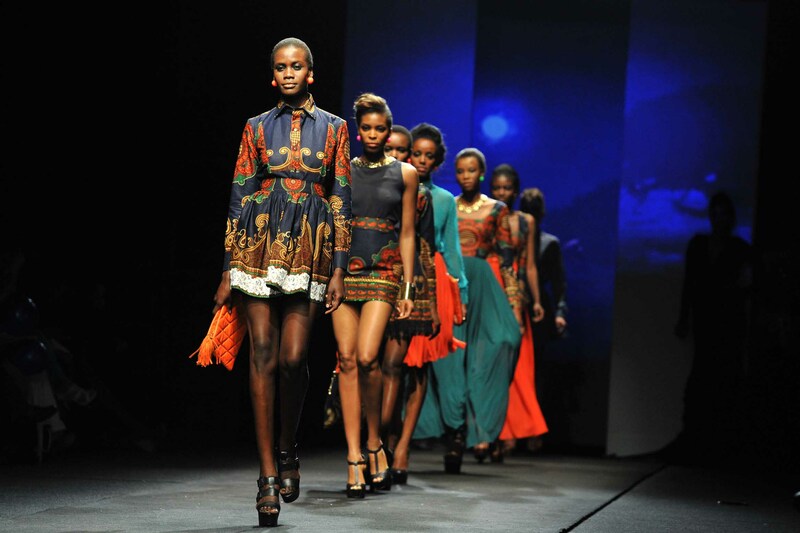 Nigeria is a fashion powerhouse not only on the African continent, but globally. Numerous Nigerian fashion designers have won accolades for their exemplary work and roles in showcasing the Nigerian spirit, culture, and diversity. These 10 fashion designers are, no doubt, the trendsetters putting Nigerian and African fashion on the international map. Folake Folarin-Coker is the founder of Tiffany Amber, a world-famous iconic label whose journey began in Lagos in 1998. Born in Lagos, she did her schooling in Europe (England, Scotland and Switzerland), where she got an opportunity to interact and engage with various cultures while still at a young age. Interestingly, she has a Master’s Degree in Petroleum Law from Switzerland, but as fate would have it, her insatiable passion for fashion led her into fashion design. Her curiosity for cultures steered her love and interest to focus on unique fashion designs that appeal to women of various tastes and preferences. Folake’s tasteful and colorful creations have earned her global recognition, making her the first African fashion designer to showcase her talent at the New York Mercedes Fashion Week two years in a row. She has also been widely featured by International media houses such as CNN, and in 2013, she received an Enterprise Award at WIE (Women, Inspiration and Enterprise) Symposium. In addition, she has made it onto the Forbes Power Women in Africa list. She has been instrumental in making the Nigerian fashion industry shine. “Now, Nigerian fashion has a personality of its own. There are so many amazing designers in Nigeria doing such great things. If you mention a designer, someone would likely know who you were talking about. Ten years ago, that wasn’t the case. 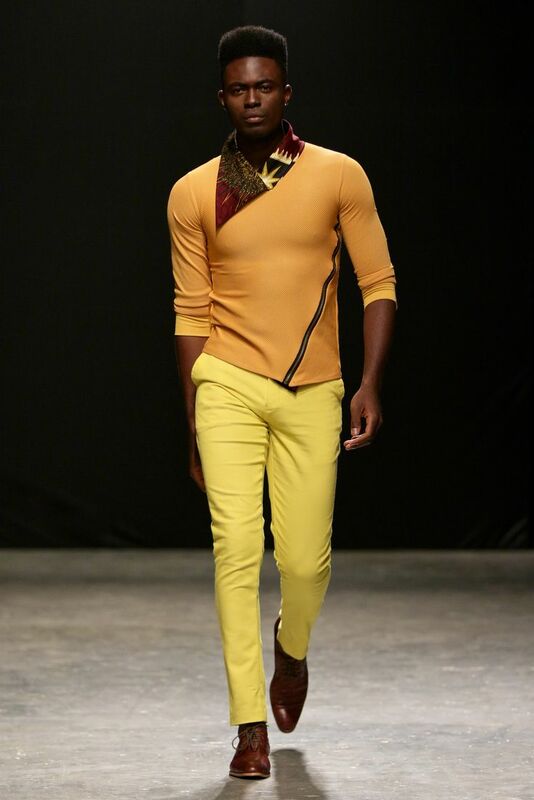 Lagos was more of a tailoring city back then as opposed to the designing city it has become,” Folarin-Coker said. London-based, Nigerian born, Duro Olowu, shares both Nigerian and Jamaican roots and is a household name in both the Nigerian and global fashion industry. He is, undoubtedly, a well-respected Nigerian fashion design personality, famous for his unique and colorful African prints. 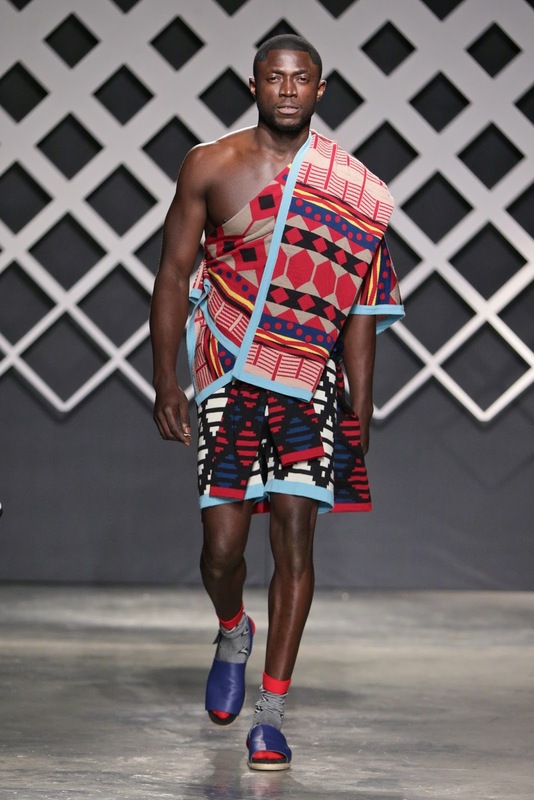 He’s super talented in working with patterns, and his designs incorporate the rich culture, spirit, and diversity of the Nigerian people. His interest in fashion began when he was only six years old and went on throughout his childhood. Olowu’s talent has earned him global fame and recognition with top clients to his name such as Michelle Obama, Solange Knowles, Uma Thurman, and Linda Evangelista, among others. Despite being a lawyer by profession, fashion was Olowu’s first love. During his career, he has bagged numerous awards further raising his profile in the global fashion industry. In 2005, he was the first designer to be named New Designer of the Year at London Fashion Week without staging a catwalk show. Deola Sagoe is a renowned Nigerian fashion designer, entrepreneur and founder of The House of Deola Sagoe. 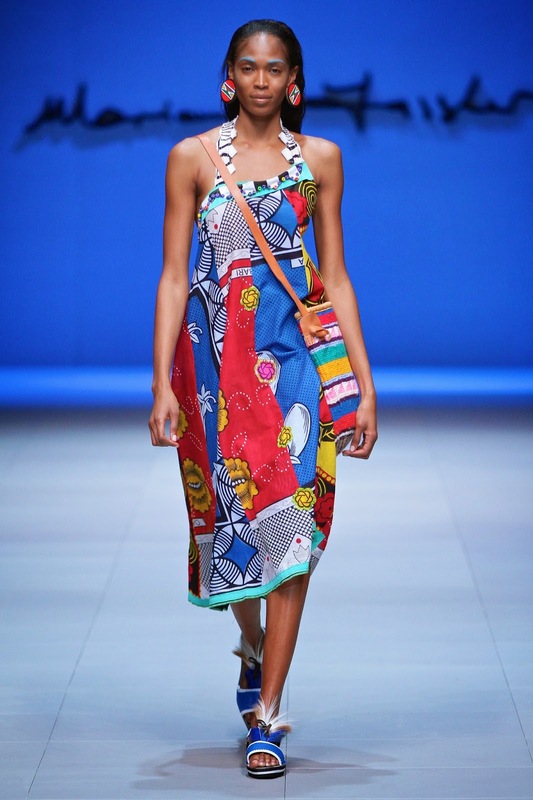 Her unique approach of designing lively and colorful prints has earned her a global following including notable personalities such as Oprah Winfrey and Will Smith, who have recognized her for her celebration of African prints. Having launched her career in 1989, Sagoe has a Masters Degree in Finance and Management and has studied at both University of Lagos and University of Miami. She is a woman with many layers and this is reflected in her multilayered designs. Her signature designs, Attitude and Elegance, draw their inspiration from fabrics with a traditional Nigerian touch and western aesthetics. She designed the label, Odua, for her mom, who played a major role in popularizing her in the industry. Her recent works include hand-dyed Adire fabric, which is made by Yoruba women. Her reputation spans beyond the African continent, earning her fame and respect. 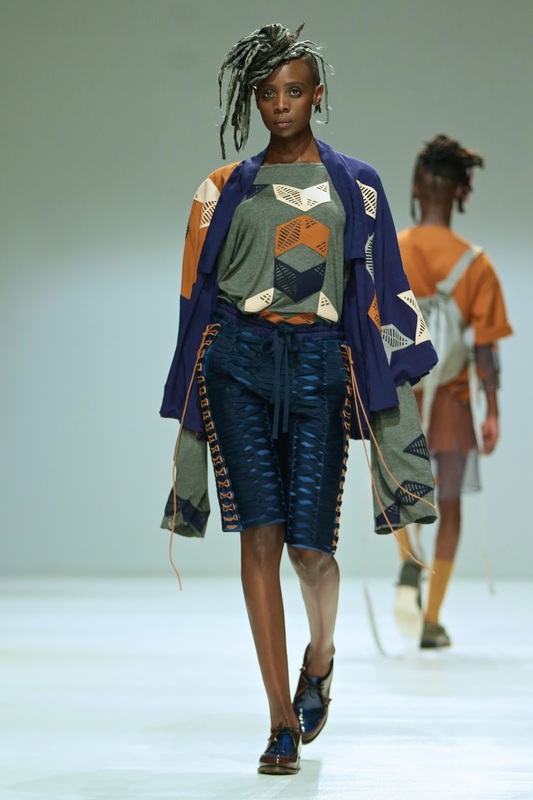 Aside from showcasing her couture collection at Cape Town and New York Fashion Weeks, Deola won the MNET/Anglo Gold African Designs 2000 Award. United Nations World Food Program appointed her Nigeria’s ambassador to the program, “Catwalk the World: Fashion for Food.” This was aimed at raising funds to reduce, by half, the number of starving people in the world, especially children by 2015. Her three daughters, Teni, Tiwa, and Aba Sagoe, have taken after their mother and are owners of the popular CLAN fashion label. Sagoe believes the African fashion industry has come a long way and there’s still plenty of room for growth “Just in Africa, there is a huge market, without even going to Europe… and the US, there is a huge market there,” Sagoe states. Lisa Folawiyo is a self-made Nigerian fashion designer who is famous for the way she creatively fuses traditional West African fabrics with modern tailoring techniques. She is known for her label, Jewel by Lisa, which she launched in 2005, and has since grown to become a global fashion brand with showrooms in New York and Nigeria. 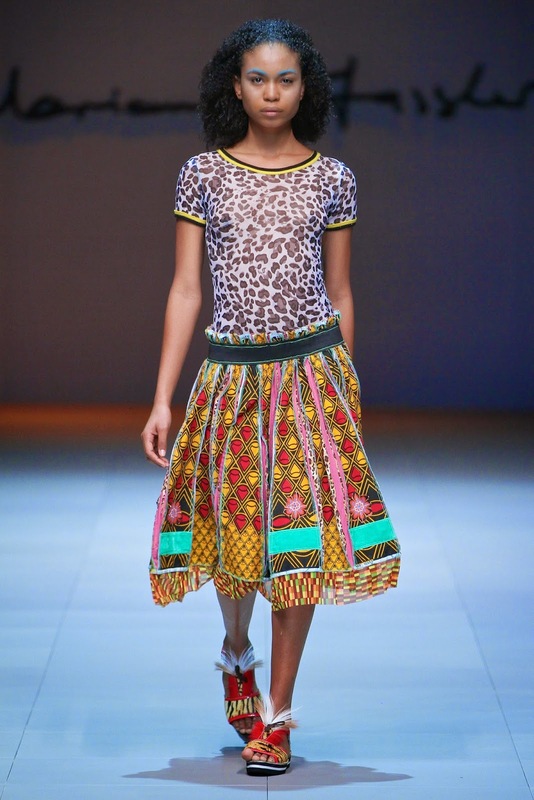 Folawiyo uses Ankara, a traditional West African fabric, to create captivating and luxurious custom prints. She has her own fabric line that also produces accessories such as jewelry and purses. Line J Label, her diffusion line, showcases the best of Nigerian culture by incorporating Afropop with tasteful urban designs. Some of her celebrity fans include Beyonce, Kelis,Tasha Smith, and Eve. 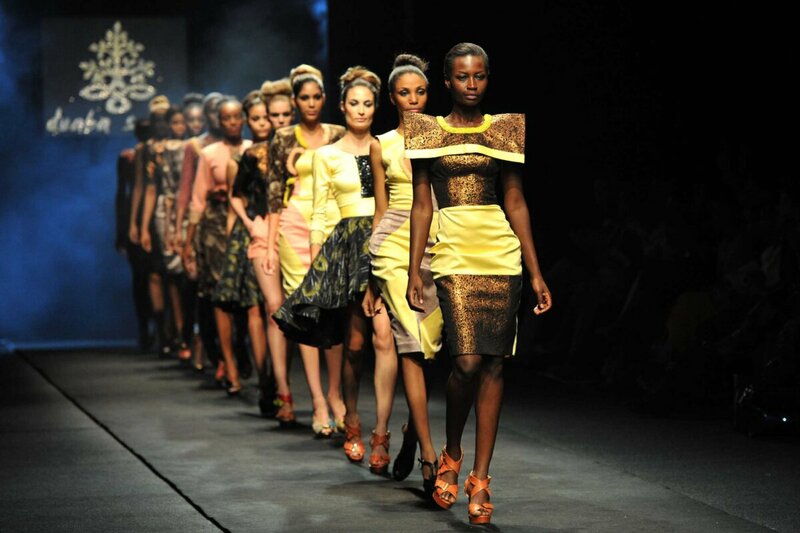 Aside from Nigeria, her collections have been showcased in the UK, US, and South Africa. She has participated in New York Fashion Week 2010 and Paris Fashion Week 2010. Some of her career achievements include winner of the African Fashion Award in 2012, and she was featured in Vogue Italia in 2012. 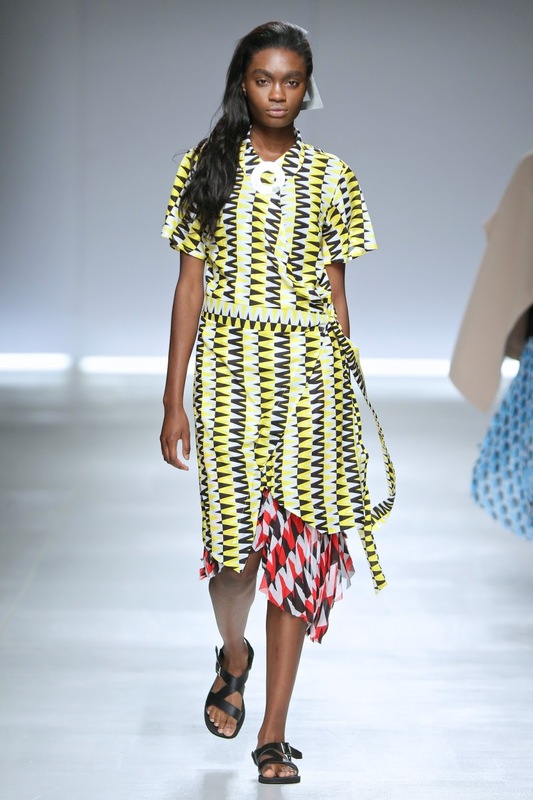 In 2014, Women’s Wear Daily (WWD) named Folawiyo among the eight emerging talents. In 2015, BOF500, a prestigious list of international brands, featured the designer among top fashion brands making an impact on the global scene. 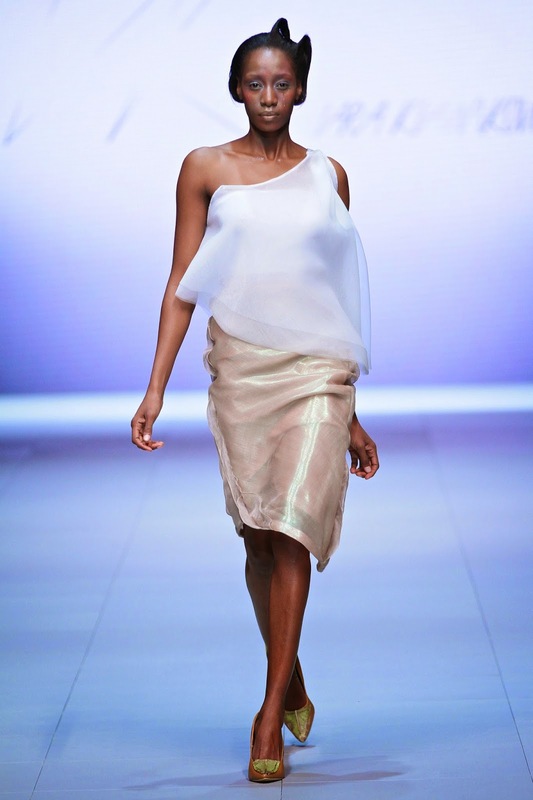 Lisa Folawiyo studied Law at the University of Nigeria, but decided to pursue her love of fashion. She admits her style is simplistic but innovative, and she also loves to play around with colors and mix prints. International media houses such as Style.com, Gotham, and Women’s Wear Daily have reviewed her. Soares Anthony is a young, energetic, and talented fashion designer who focuses on his men’s clothing line, Soares Anthony. His work draws inspiration from local Nigerian fabrics coupled with Japanese tailoring designs. His designs are masculine, yet modern and trendy by way of transforming an ordinary look into a sophisticated design that embraces elegance. Anthony began acquired his love for fashion when he was a young boy where he spent his time sketching and drawing. He loves to work with colors, and his awesome talent has seen his pieces worn by famous politicians and celebrities. 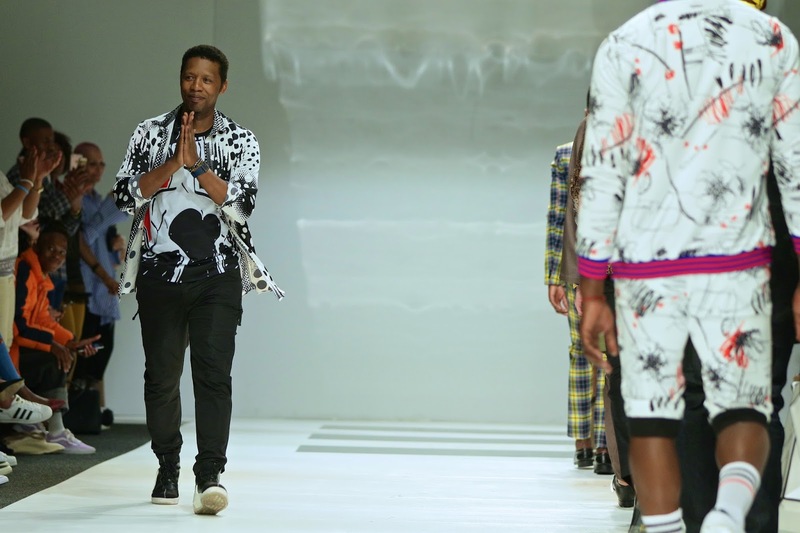 Young and successful, he is a talented fashion designer to watch out for as his name continues to cause ripples in both the local and global fashion industries. His pieces are also sold globally in the UK, US, and France. Anthony uses his talent to make an impact on the community through a mentoring program he runs that helps young and upcoming Nigerian designers excel and compete on a global platform. Nature, colors, and artwork are his main sources of inspiration. She confirms that her mother played a major role in defining her personal style. “My mom travelled a lot to London and New York. She bought me a lot of clothes, so I began to dress differently. I think that was the first introduction to me wanting to be different through clothing,” says Faturoti. While in New York, she was employed in the Charivari Boutique where president of the company, Barbara Weiser, noticed her potential and passion for unique fashion and helped her launch her first fashion collection. 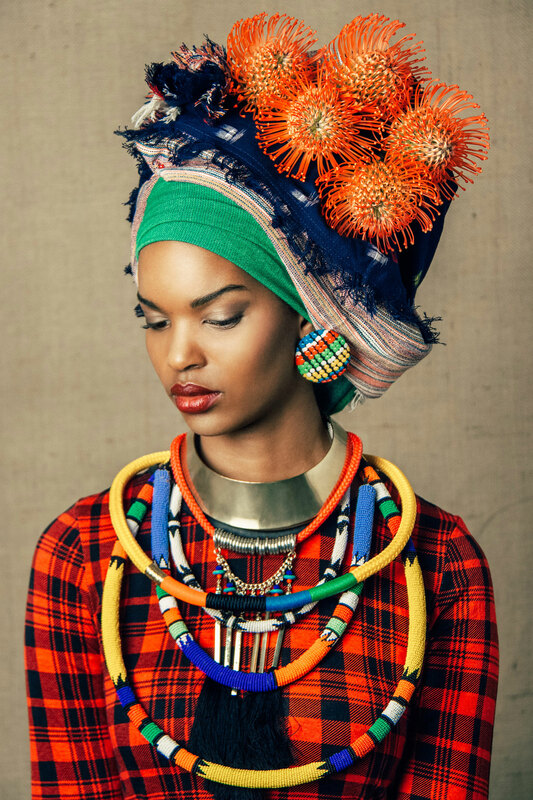 Her passion for African fashion is profound. “Everything begins for me with the print and fabric, which usually has some shine,” exclaims Faturoti. Her deep African roots, as well as extensive global experience with having lived and worked in New York and Milan have been instrumental in her success and international spotlight. Frank Oshodi is a perfect presentation of how Nigerian cultural diversity has been embraced in unique fashion design trends. 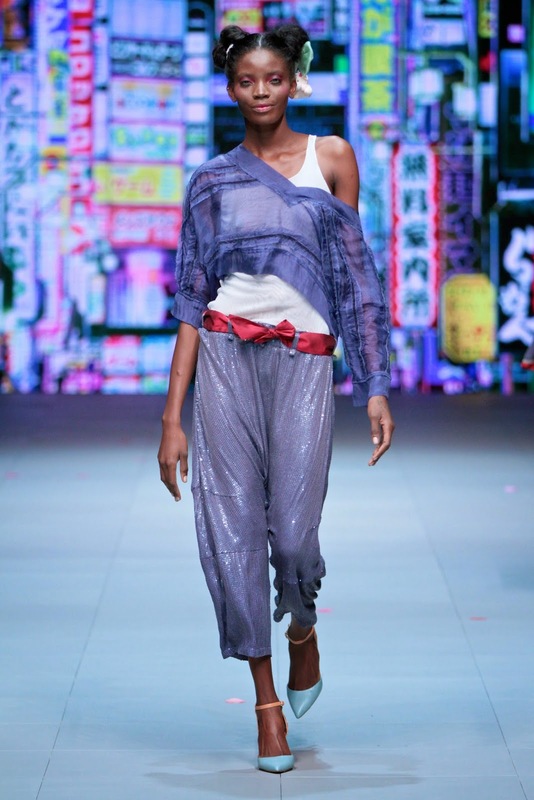 With extensive industry experience spanning over 25 years, Oshodi began his career as a model and was employed by top household fashion houses, such as Dakova and Nikki Africana. He also worked on popular TV commercials such as Maclean’s before rising in the ranks to become a model manager. He went into choreography before finally launching his makeup label, House of Bunor and Fashion Designing. His big break came when Silverbird hired him to be the designer and makeup artist for Agbani Darego, who was the 2001 Miss World winner. Since then, Oshodi’s career has continuously rewarded him, enabling him to acquire many clients across the world. Effortless beauty and elegance is the foundation of Oshodi’s career and is reflected in the years he has been in the industry. He has played a major role in numerous events such as The West African Fashion Week 2008, whose aim was to showcase the very best of Nigerian fashion. There’s no doubt that Oshodi’s journey so far is only the beginning of future successes that await him on the Nigerian fashion scene. He’s definitely a force to be reckoned with. Zizi Cardow has been instrumental in successfully showcasing the Nigerian fabric and culture on a global level. She launched her label, Zizi, which has seen her profile expand proudly, letting the world know how unique and elegant the Nigerian fabric is. She is credited with promoting the Ankara fabric, which has earned it global fame as the fabric is now being worn to red carpet events around the world. When she was young, Cardow hoped to become a forensic profiler, but after landing her first fashion job at only 17 in an Italian-owned boutique ignited her interest in fashion. Being a popular African fashion ambassador, her success has seen her designs featured in many international catwalk events in Cape Town, Milan, Paris, the USA, and other destinations worldwide. Her global revolution for the African fabric to be appreciated internationally has earned numerous awards, with the list being long and continuing to grow. In 2001, after only one year in the fashion industry, she bagged the Prestigious Designer of the Year Award at the Nigerian Fashion Show. With this award to her name, the world noticed her work, and her work was showcased on a global platform. In 2002, other awards knocked at her door. The DAME Award recognized her for her outstanding achievement in fashion, and also winning the St. Moritz Style Selection Award and Nigerian Women Awards. From 2002, she kept winning numerous awards successively year after year, raising her profile in the industry. Some of the other major accolades Cardow has achieved include the 2010 UN Peace Ambassador, 2010 Global Leadership Award, 2010 Young Achievers Award, 2010 Fashion and Style Award, 2010 Merit Award for African Heritage, 2009 Zenith Award for Excellence, and 2007 African Role Model Leadership Award, as well as many others. Her client base is vast, consisting of famous political figures and celebrities. She has also been featured by top international media houses such as CNN, SABC, Channel O, and FTV. Zizi Cardow has given back to society through numerous mentorship programs, which have, in turn, earned her awards. Mai Atafo is a well-known Nigerian male bespoke designer. He rose into the limelight after launching his brand, Mai Atafo, which has been successful both on the local scene, as well as global fashion scene. His aim throughout his career has been to uniquely showcase the personality of a confident and elegant Nigerian gentleman. Atafo is a trained IT specialist with a Master’s Degree in Information Systems and Technology from the UK. After returning from the UK in 2002, he worked in various positions in the corporate sector until 2010, when he resigned to pursue fashion full time. Atafo’s clothing label has gained popularity while attracting top clientele. He has dressed personalities such as Most Beautiful Girl in Nigeria in 2005, Omowunmi Akinnifesi, and I.K. Osakioduwa. In addition, other famous personalities on his list are Mercy Johnson, 2Baba, Waje, Gbenro Ajibade, and Stephanie Okereke. Atafo also launched his fashion line, Weddings by Mai, in 2011 with his designs being showcased at various high-profile events. Atafo has bagged numerous awards during his career to celebrate and appreciate his excellent craftsmanship. Some of the awards he has received include being the winner of City People Fashion and Style’s Hottest New Male Designer two years in a row, LFW Menswear Designer of the Year, Mode Men Magazine’s Fashion Designer of the Year, and Allure’s Most Stylish Man of the Year. Atafo believes fashion is an all-round aspect. “Fashion goes beyond clothes. It is also hair and all those elements put together,” notes Atafo. Ade Bakare is an established Nigerian fashion designer whose impeccable African designs have caused ripples around the globe. Having been in the fashion industry for two decades, his super elegant designs are popular, making him a household name in both Nigeria and London. His work is a perfect example of female sophistication. Bakare was born and schooled in the UK, after which he was employed in some of the top and finest fashion houses of Christian Stambolian and Victor Edelstein. In 1991, he founded Ade Bakare Couture and began selling his own collections to various boutiques in England, Scotland, and Channel Islands. His work ranges from exclusive evening gowns to stylish wedding gowns, hats and fragrances. 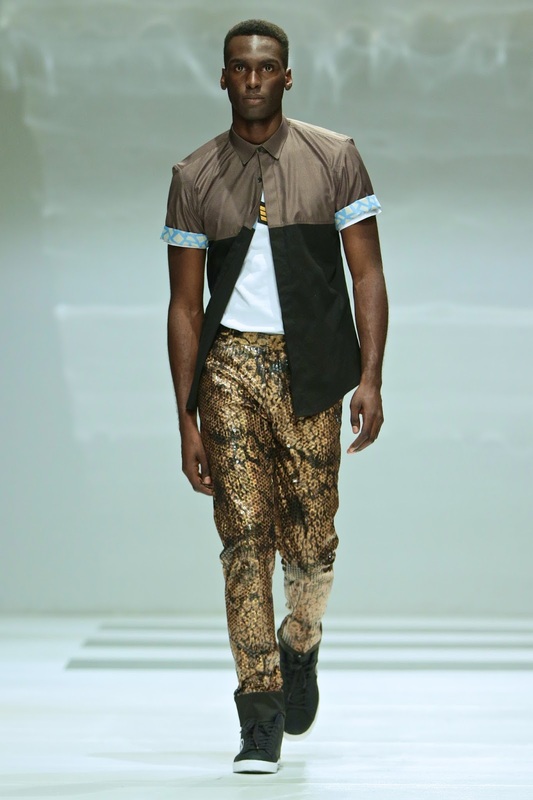 He deals with high-end clients in both Nigeria and London, who have recognized his over-the-top fashion talent. Bakare also has perfumes named Breeze, and Ade Breeze which is a jersey line of his brand. Bakare’s work has been showcased around the world in places such as New York, Vienna, Mozambique, Morocco, Paris, and Cape Town. Aside from having numerous English personalities and celebrities wearing his pieces, he also has first ladies, senators, and minister’s wives as clients. He has also been involved in numerous programs geared to inspire upcoming designers. The Ministry of Youth and Culture recognized Bakare for this role in supporting young and upcoming fashion designers. Bakare has also received awards from the Paris Academy and Conde Nast Publication. His dresses are known to be classic with a modern twist while spanning various types of fabrics. Bakare is well-known and celebrated for his famous and luxurious female gazar and organza sweep coasts.